Our sense of taste starts with the tongue. The tongue is covered with taste buds each containing specialized receptor cells. These cells are triggered by the chemicals in the food we eat to sense 5 basic tastes: salty, sour, sweet, bitter and umami — a savory sensation. These receptor cells send messages to the brain and the brain identifies which taste is present. Smells originate from molecules in the air. When these molecules enter the nose, they make contact with receptor cells inside the nostrils. These cells send messages to the brain which identifies the scent. Unlike the sense of taste, which can only identify five tastes, the sense of smell can recognize tens of thousands of different smells. It is the five basic tastes and these thousands of scents that make up what we think of as the flavor of foods. Taste tests are a great way to learn about the sense of taste and sense of smell. When doing a taste test, it is sometimes hard to not have the food or flavor given away by the texture or color. Jelly Bell jelly beans work great in a taste test. The textures of the jelly beans are the same and they come in so many flavors. You could do a test with similar flavors or wildly different ones. You may be surprised by the results. 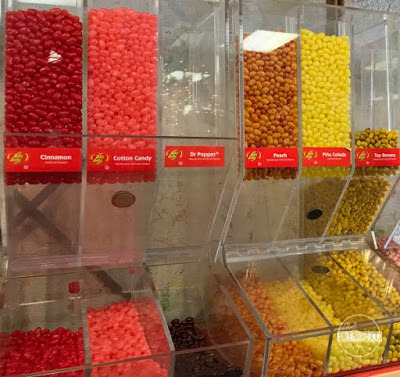 Start by picking up three different flavors of Jelly Belly’s at the store. You could buy a bag and separate them or go somewhere where each different flavor can be bought in bulk. Have each test subject close their eyes or blindfold them. Give each subject a jelly bean to eat and have them guess its flavor. Have them write down their answer on a piece of paper. Let your subject eat a cracker and drink a little water to clear their palette, and then repeat with the other 2 flavors. Next, have the test subject pinch their nose shut and repeat the taste test recording their best flavor guesses. How did your subjects do? Where they good as guessing flavors? What difference did pinching their nose make? 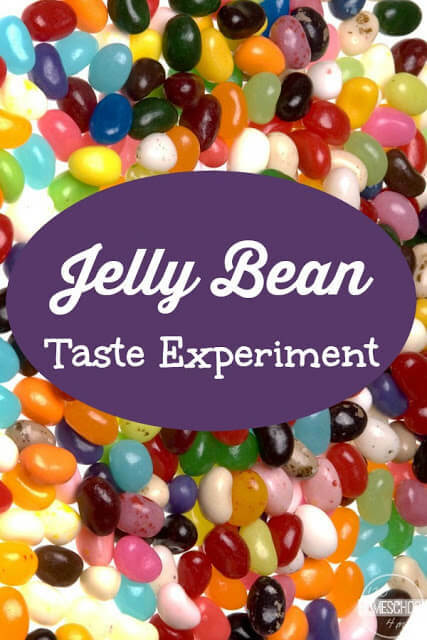 For the last part of the experiment, let the subject smell each type of jelly bean. This works best when they are in a paper or plastic bag. You might even want to crush a few of the jelly beans up to release the scent. Ask the test subject to guess which flavor they are smelling and record their answer. How did your subject do? Did you find that the flavors were easier to determine by sense of taste, sense of smell, or both together? What did you discover about the senses from this experiment?